View and download our complete collection of 2019 product catalogs. View all the latest stitchery designs and products in the Bucilla® Seasonal, Baby, Stitchery and Home Décor Catalogs. Find product information including paint colors, tools and brushes in the Apple Barrel , FolkArt, and Delta Catalogs. Learn more about our fabric paint and leather paint product lines. From traditional decorative painting, to furniture and home decor, to stencils and tools, FolkArt is a complete, comprehensive line of products designed to meet the needs of just about any craft or painting project. Find catalogs related to general crafts in this category. 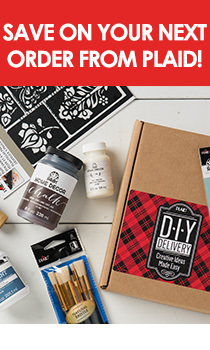 Learn more about Mod Podge® and all the Mod Podge formulas in this catalog.